I haven’t been a fan of kale but I may just be a convert after this. 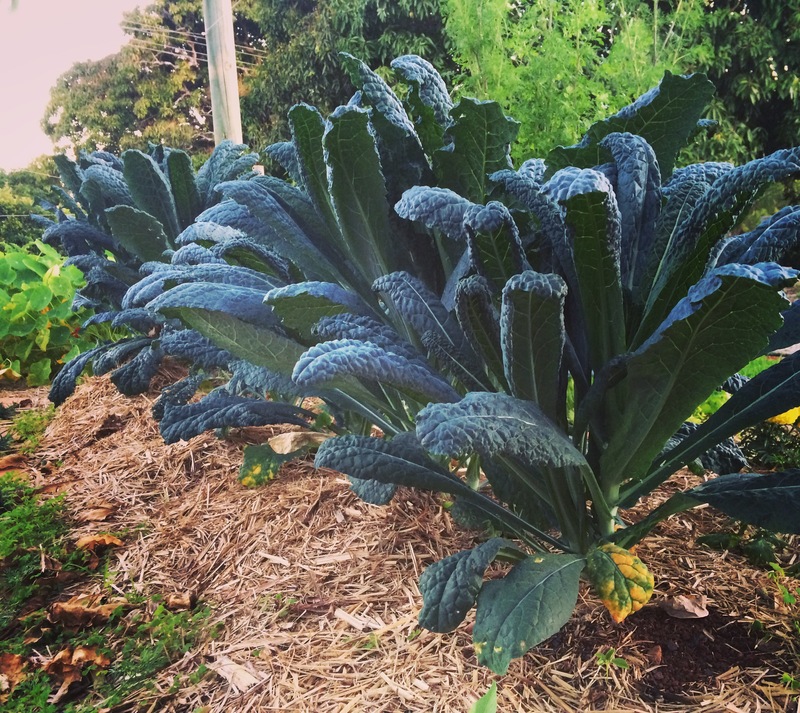 I had a garden full of kale and needed to use it so it wasn’t wasted. 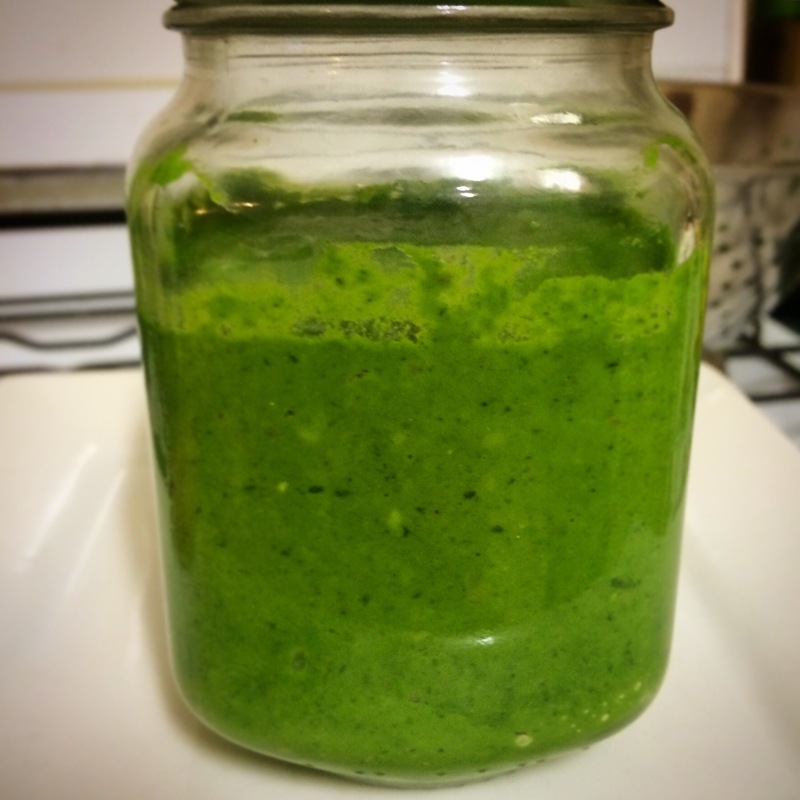 After consulting some recipes, it was decided that kale pesto was the most appealing option for me. First step was to strip the leaves from the stems. The stems can be used later for cooking in stocks or soups. Some people steam the leaves but I just left them raw. 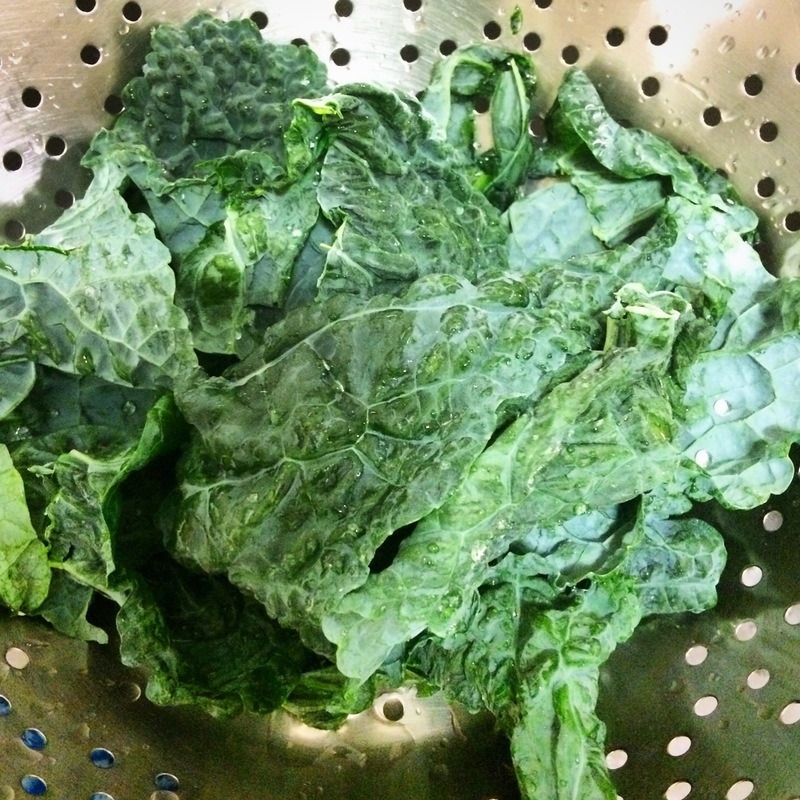 (If you are eating huge quantities of kale, it’s best to steam it first). Stick it in a blender and give it a whizz. I made a few batches and sealed them in vacuum jars for later use. 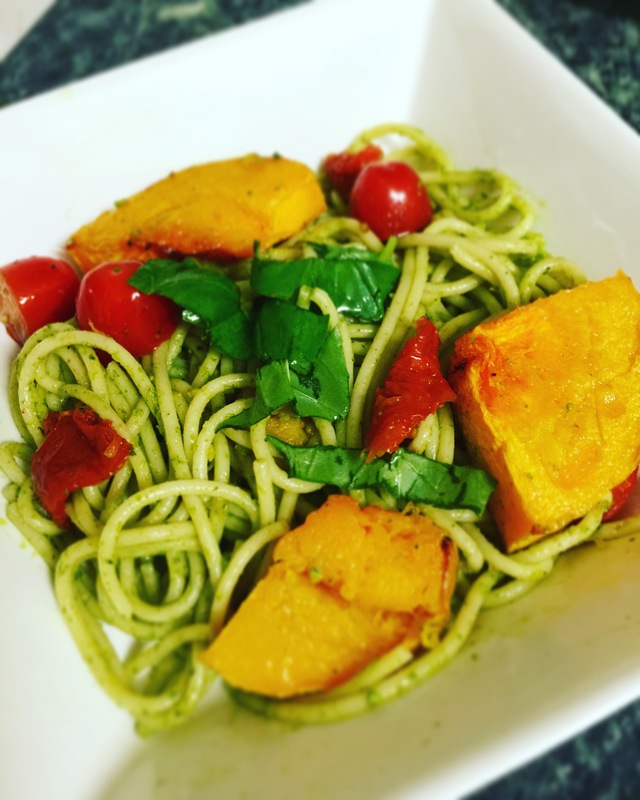 Pesto has a multitude of uses but for a quick and easy meal simply stir through a pasta and it’s delicious. 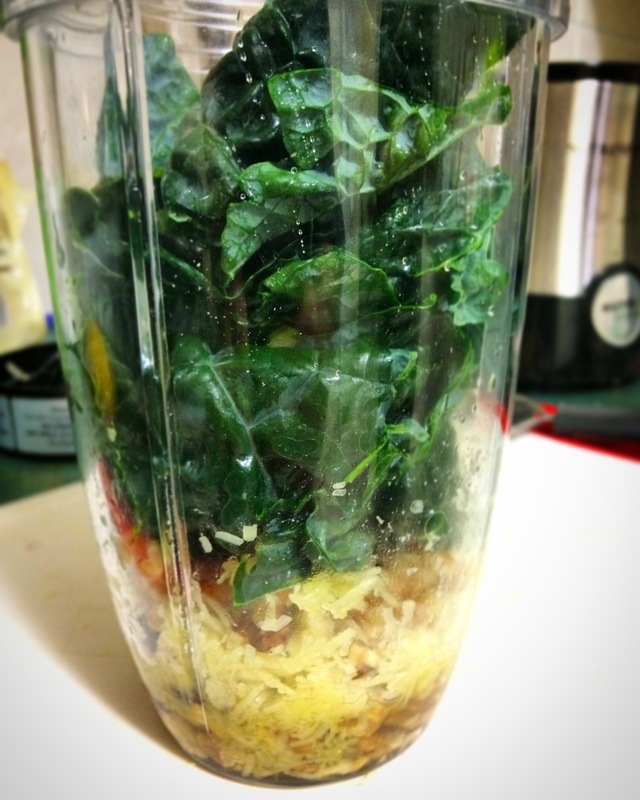 I’m really impressed with the flavour and it’s a great way to deal with a glut of kale.